Last week I went to the local state park beach just before sunset. I've been working on my current set of abstract photos. During that shoot, I came up with my current favorite piece to date. 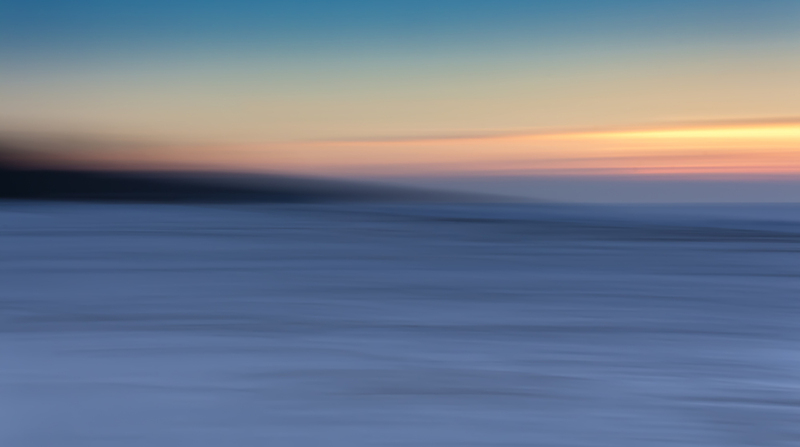 Headlands Beach Winter Abstract has a wonderful mix of colors and soft textures. The image is direct from the camera, the only manipulation was done in Lightroom, boosting the colors, contrast, clarity, etc. I love that this photo looks like it could have been taken on a plane, over the clouds. In reality, it was taken on a snow covered beach. In the near future, I plan to get a large print made of this photo.